Platinum Pro was pleased to be apart of Christina and Dave’s wedding at the Rancho Santa Fe Crosby Estates. Platinum Pro provided all the LED intelligent uplighting. Our LED intelligent lighting eminated from the reception room pulsating to the music. A special thank you Thomas Bui Lifestyle, coordinator and Sean Walker Photography. We put the “O” in WOW! 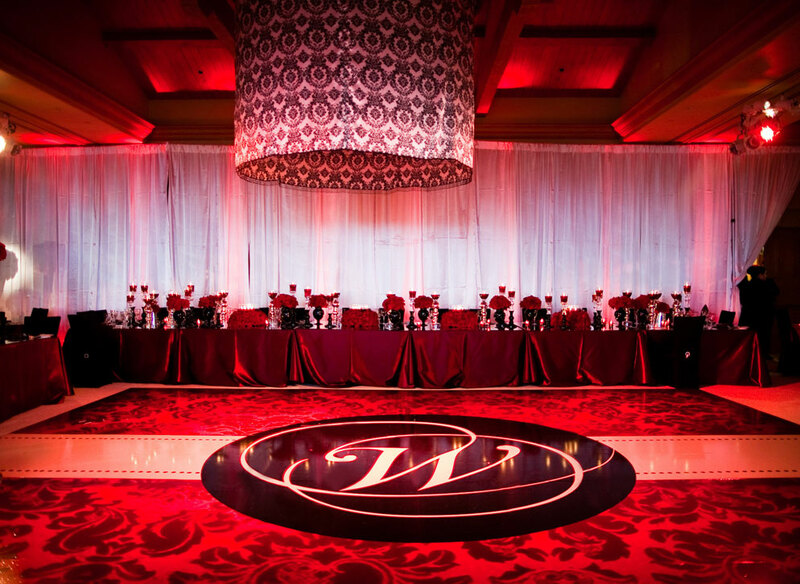 Check out Platinum Pros traditional custom seamless white dance floor with a black monogram decal.